What better way to celebrate the homecoming of our Samuel Woodford than to pop open a few seasonal homebrews? 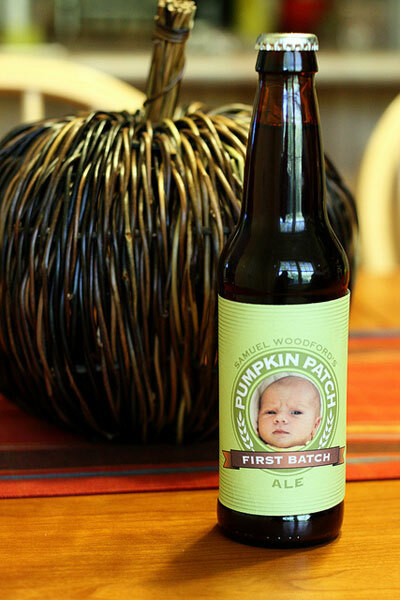 Stephen and I started this batch a couple months ago in anticipation of Peanut. This ale is amber in color and has a crisp, subtle flavor of pumpkin and spice with a slight hop to it. Great for fall through winter, we like to pair it with soups, poultry, and root vegetable dishes. The final ABV % came out to 4.4%. Enjoy! 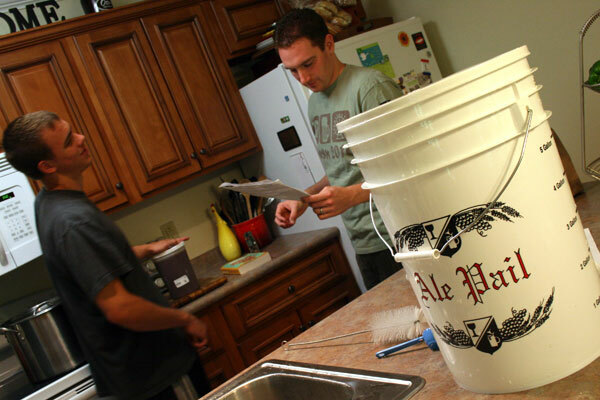 Thoroughly clean and sanitize all brewing equipment. Combine the crystal and dextrin malts and chocolate in a muslin bag. Place in brew pot with 2.5 gallons water. 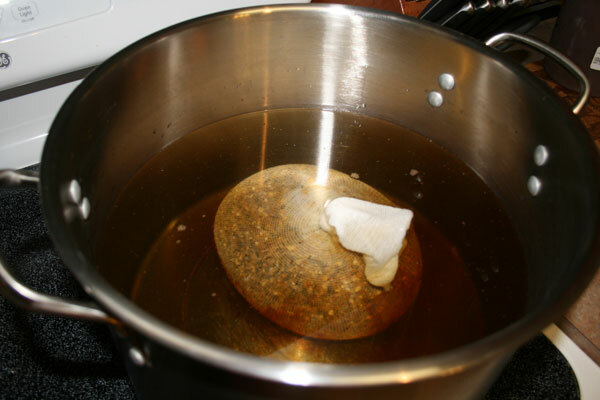 Heat water until slight boil and remove muslin bag. Stir in the light malt extract and bring back to boil. 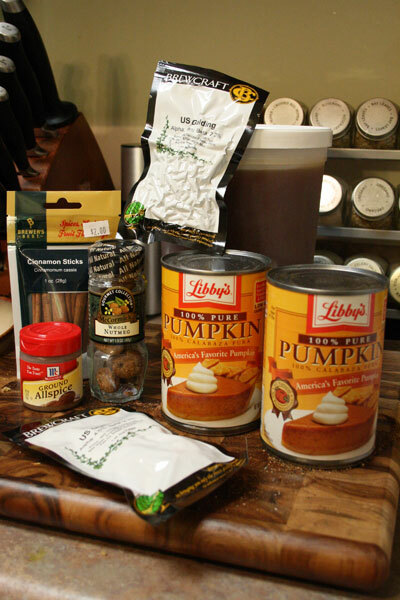 Combine pumpkin and spices in another muslin bag, and add to water along with bittering hops. Boil for 1 hour. Watch for boil overs. Add finishing hops during the last 3 minutes. Remove pumpkin muslin bag, and cool wort to ~70 degrees F. Add 2.5 gallons water to bring to 5 gallons total and pitch (add) yeast. The rest of the directions are standard: Let it ferment for 2 weeks or so. Siphon to clean bottling bucket, add priming sugar, stir, bottle, and wait another 2 weeks or so. It’s not at all as hard or complicated as it sounds, and really it’s so worth it! Reading the directions, with a copy of Charlie Papazian’s The Complete Joy of Homebrewing nearby. The muslin bag full of the malts — looks like a giant tea bag in water. Adding the liquid malt extract, stirring constantly so it doesn’t stick to the bottom of the pot. 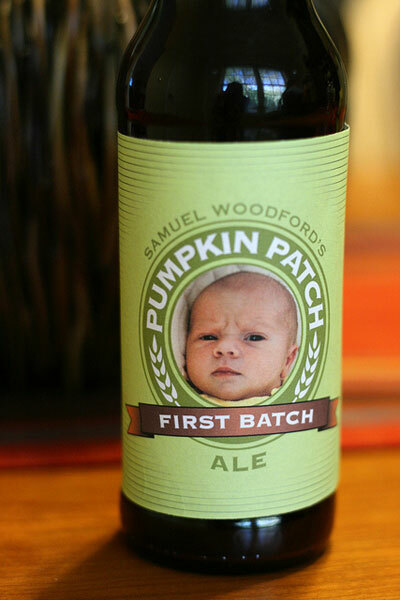 The finished product: Samuel Woodford’s Pumpkin Patch Ale. Welcome to the family, Sammy! Next up: Coconut Porter from our friends, Steve and Ally. That label – I die! So cute. That label is beyond cute and the beer sounds delicious! so cute…love the label! emily, i hope you were able to enjoy some! omg LOVE IT! What a cute idea!!!! 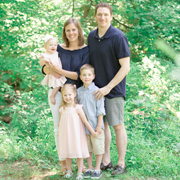 I’ve been admiring some of your recipes on Knapkins and had to hop on over to your blog. I am so glad I did, It’s very fun.